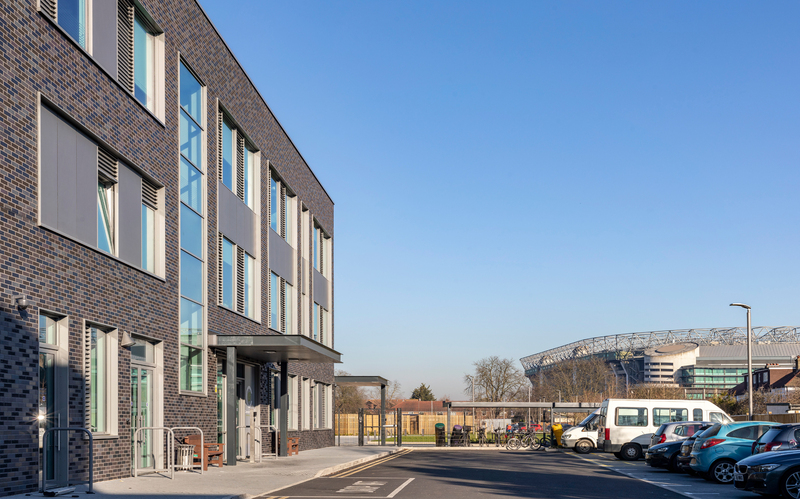 ECE Architecture are proud to be working alongside the London Borough of Richmond upon Thames and Willmott Dixon to develop the new Richmond Education and Enterprise Campus. 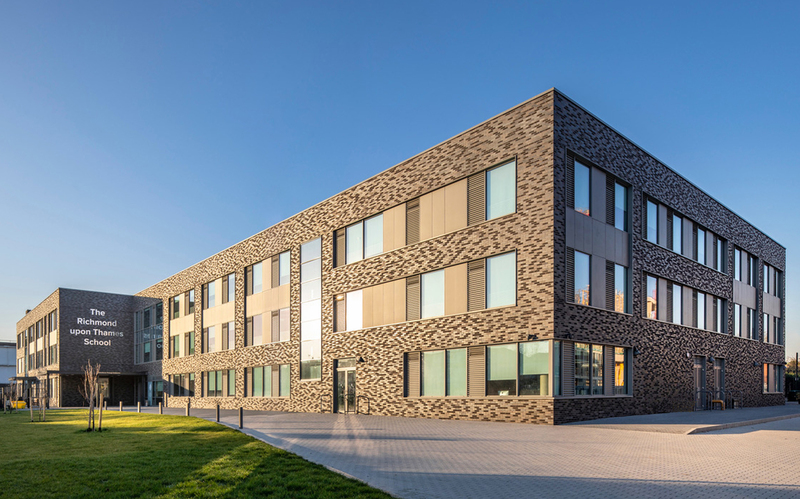 Following outline planning approval ECE have submitted a reserved matters application for the project which is due for completion in 2018. 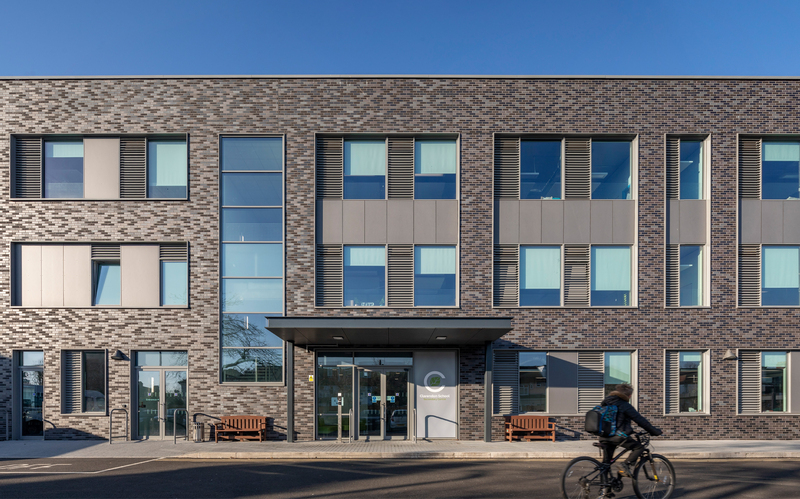 The scheme incorporates the existing Clarendon SEN school and a new 11-15 five form entry secondary school on the existing Richmond College site. 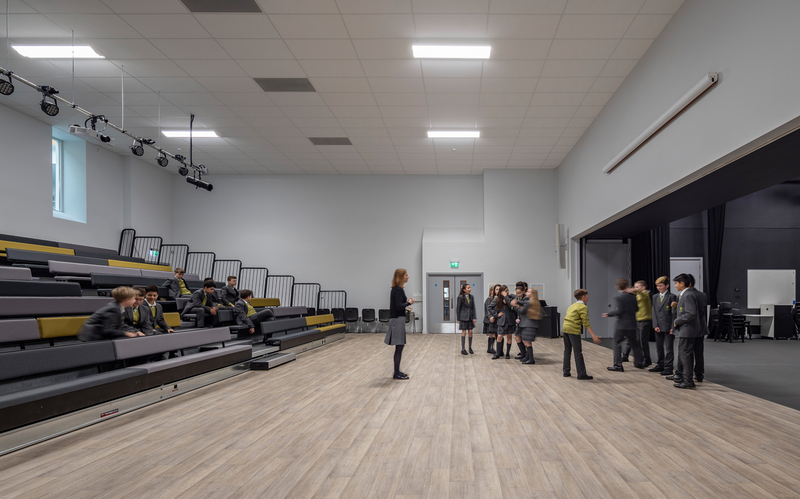 The proposed school building has been developed from the Education Funding Agency superblock design to create a new ‘stepped’ superblock footprint. 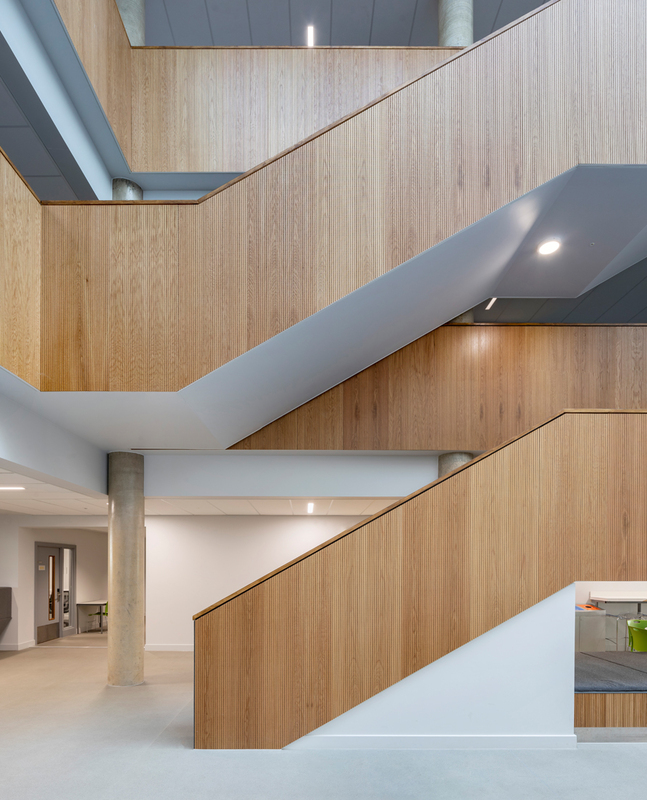 This three storey design wraps general and specialist teaching accommodation around centre spaces – the school halls and shared dining atrium. 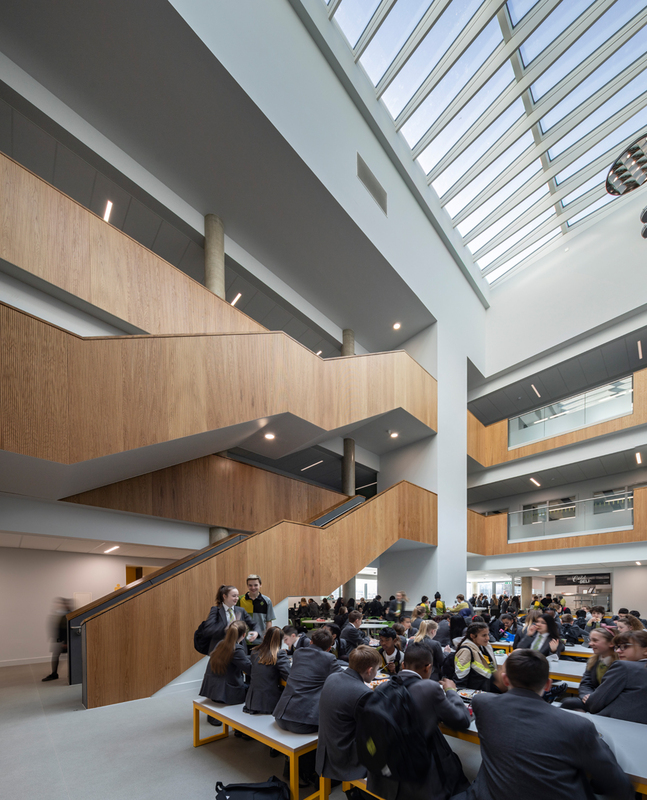 This triple height atrium forms the heart of the school and provides a focal point and dramatic entrance for visitors. 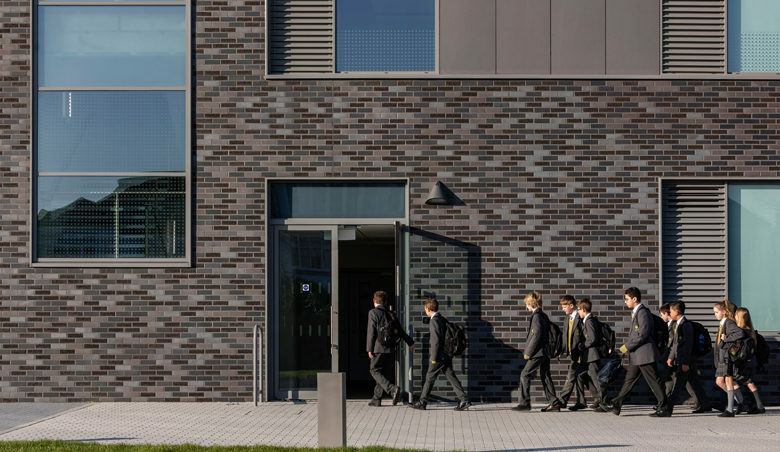 A brick façade was selected for robustness and to differentiate the school from the neighbouring aluminium clad college building. 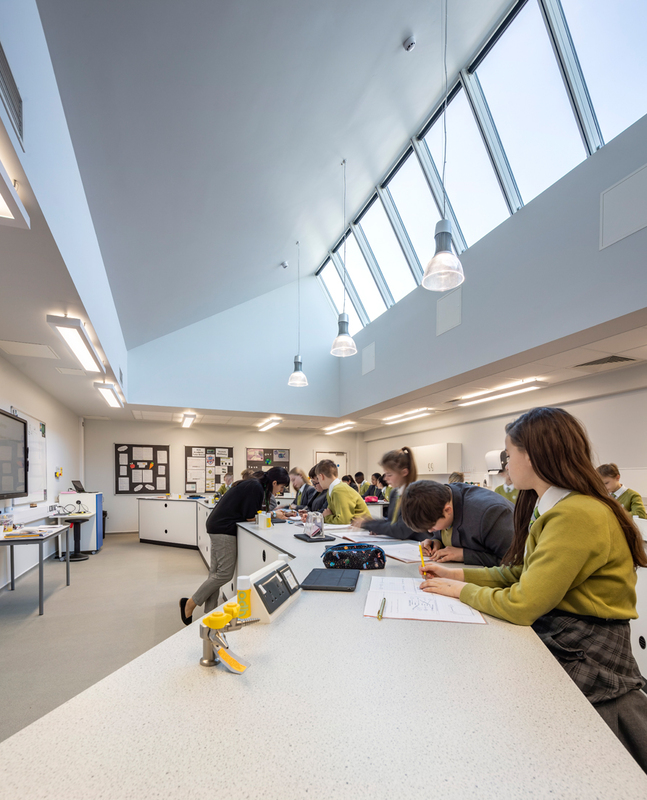 Careful attention to detail and the proportion of elevation elements has been critical to achieving a high-quality environment. 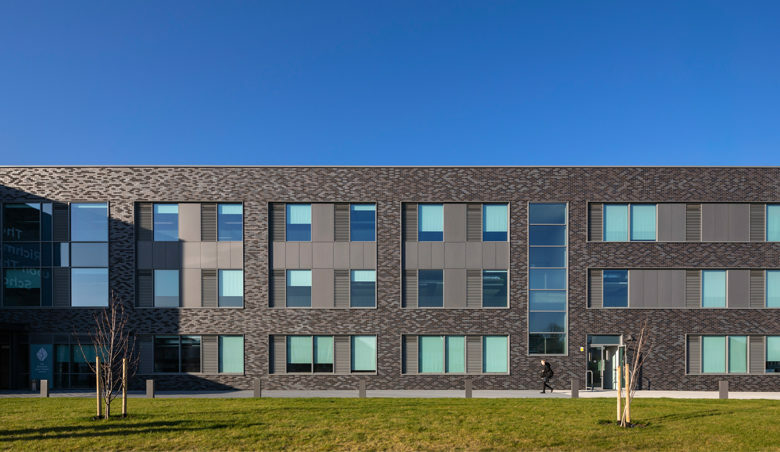 A blend of dark grey/dark blue/black bricks has been selected to create a calm confident counterpoint to the proposed adjacent college building. 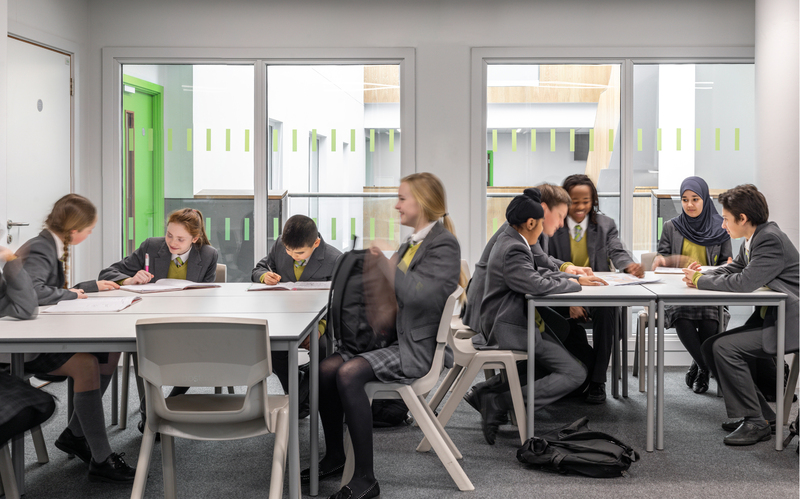 The redeveloped college campus and new secondary school are committed to inclusion, collaboration and improved transition. 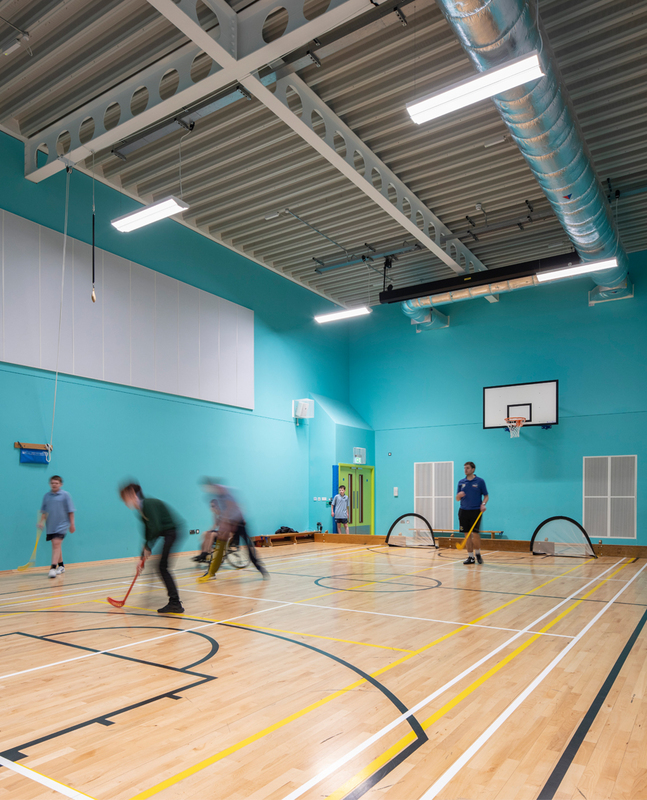 The design positions the new secondary school and SEN school in the same building with shared facilities. 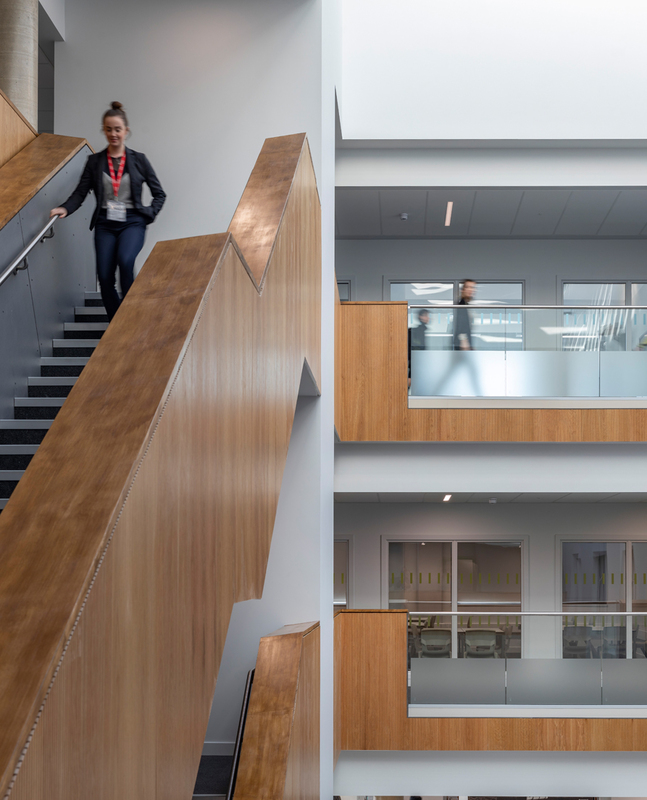 The wider development includes a new college, a new tech hub building for local employer Haymarket, a college STEM building and new sports hall, all designed to be accessed by the whole campus.